← Welcome to First Grade, Friends! I’m not kidding, I could read the whole library!! 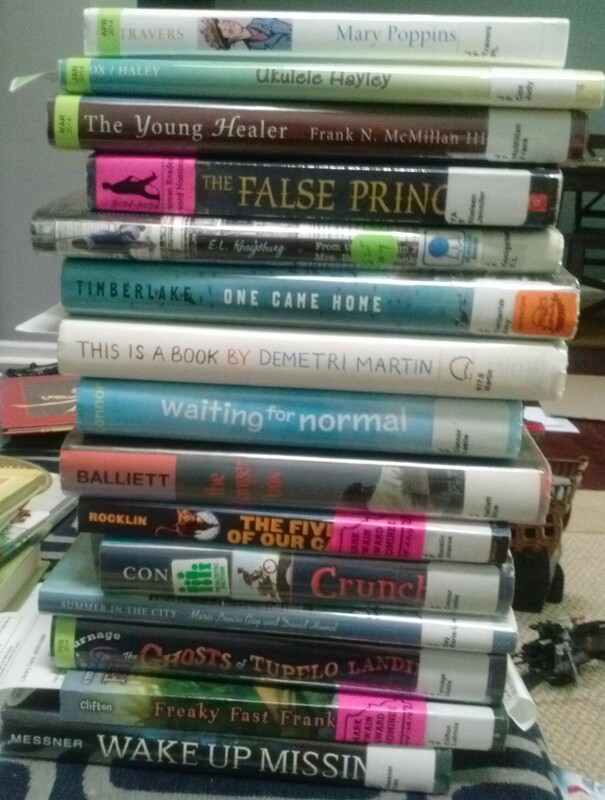 I make up for all the time I don’t read during the school year by WAY OVER DOING it once I am out for summer. But hey, when you have time, go for it, right?? 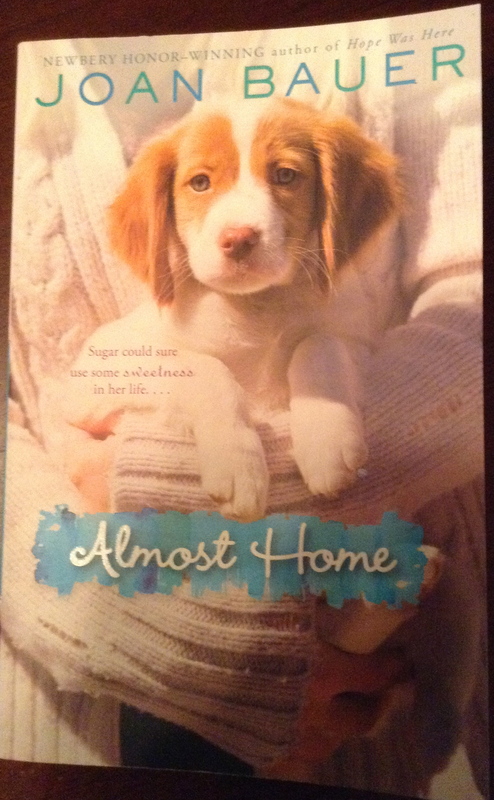 Remember last summer when I read Close to Famous and Hope was Here by Joan Bauer? Well, for some reason, I found out that she wrote TONS more books than I had seen, and I had to check them out! This one I bought at Barnes and Noble, and finished it that same evening! This one had a similar vibe to the others of hers I had read: the main character was a young girl with family troubles, mainly on her own, and who is forced to learn a life lesson she didn’t really expect. There was not, however, food involved in Almost Home, as I remember—Close to Famous was all about cupcakes, and Hope was Here was set in a diner. That must have been a theme for Mark Twain nominees last year, because they were all about the same thing! 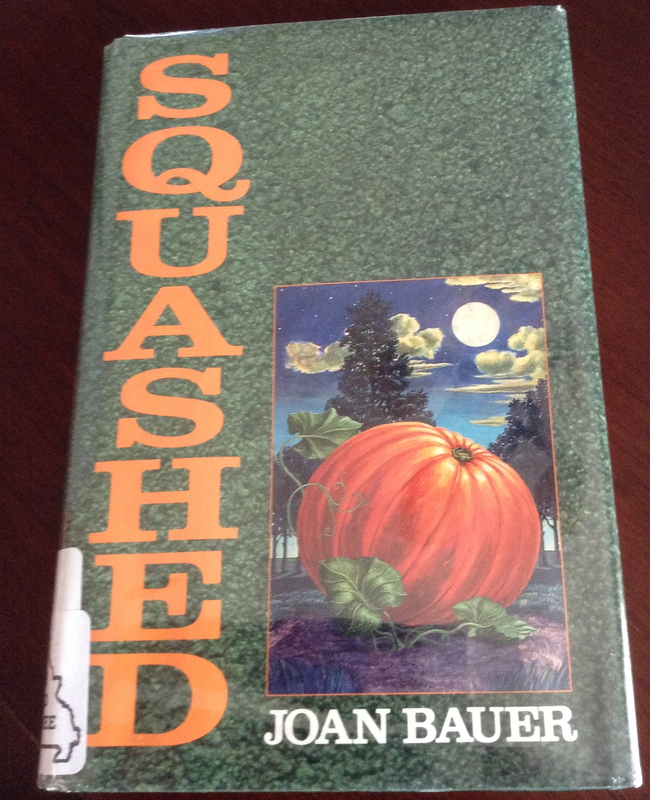 After I finished Almost Home, I went to the library to find some other Joan Bauer books. 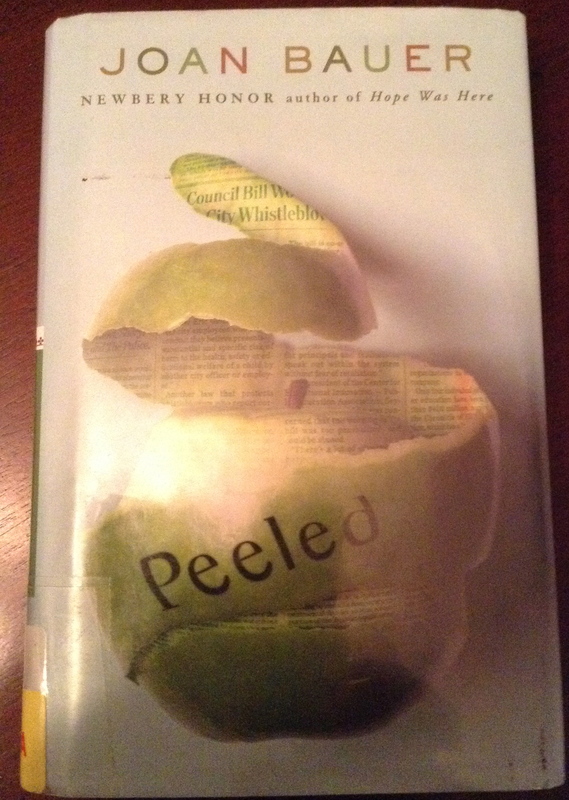 I think I read Peeled first, but honestly I finished the next three titles in about a day and a half so I don’t really remember the order! The main character of this one was again a strong female, and the setting included a high school newspaper. 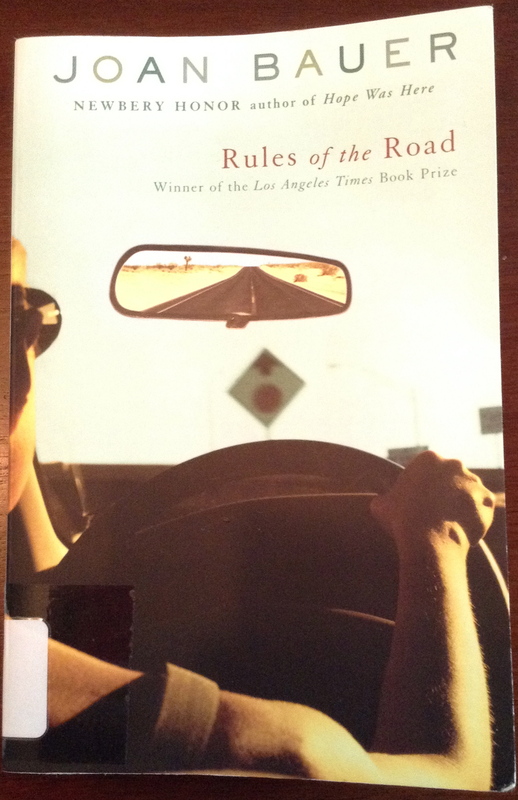 I mentioned it to my husband, and he actually mentioned that he’d read it as a read-aloud, but that his class was a little bored by the details related to how to write a paper; maybe I’m biased already to Bauer as a writer, but I didn’t really notice. Enjoyed the whole thing from beginning to end! This title was refreshing, as it included a male lead character (aptly named Tree), rather than a female lead, as her others had. There were themes of finding yourself, learning an important life lesson and overcoming adversity–like in the others–but I’m beginning to think that that’s probably what I like about her writing, so it’s ok with me! 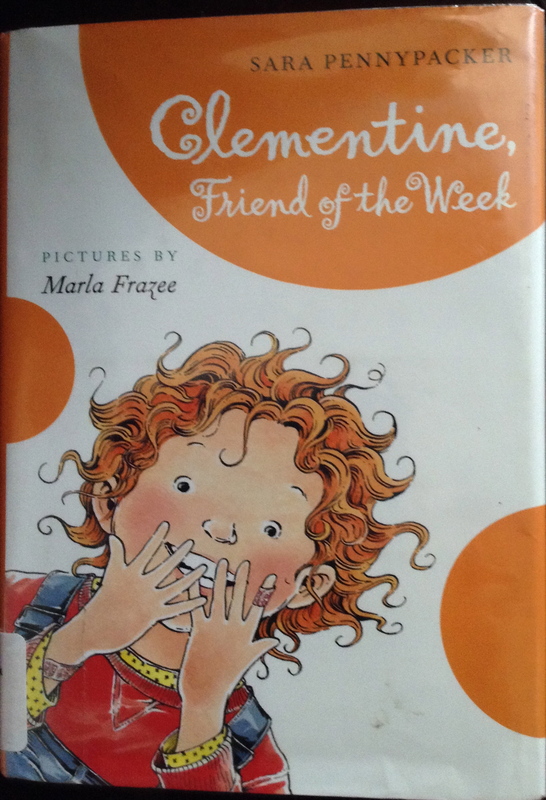 The premise of this book made me laugh out loud at first–it’s a girl who raises a prize pumpkin for the festival and is dealing with some villains who don’t want to see her win! Sounds a little silly, but in a weird way, the pumpkin becomes as much a character as the girl, and you are quickly rooting them both on to win against the “bad guys.” As with other Bauer books, I liked the way she develops characters, realistically sharing what they would go through and including believable dialogue. Liked it even more than I thought I would! Told you I was on a roll with Joan Bauer books, huh? 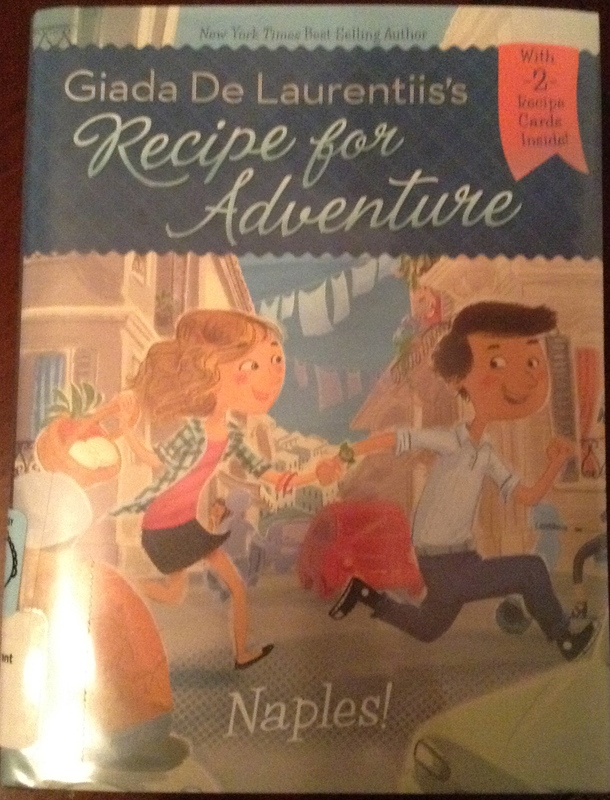 It’s what I talk to my kids about with “trusting an author.” I figured (just like with Jerry Spinelli, Sharon Creech, Ralph Fletcher and the like) that if I liked one of her books, I’d like the rest of them. So far, that rings true! 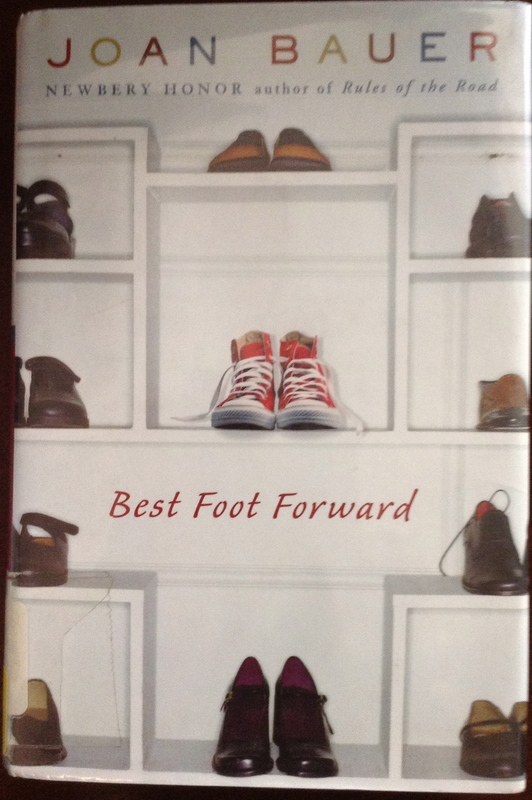 Rules of the Road and Best Foot Forward are actually related to each other–I found out as I began the second one–and have the same main character. As with other Bauer books, the main character is a strong, independent female, and similarly there is a theme of a teenaged person trying to find themselves and figure out their place in the world. In this case it’s Jenna, who is hired as a driver for an older woman for the summer, and who learns alot about herself and others along the journey she takes (literally and figuratively). The setting of both books is split between Chicago and Texas, and the focus is on a major shoe company that Jenna works for (the lady she’s driving is the owner). It seems a little silly at first (just like the pumpkin idea in Squashed), but it doesn’t take long to start to care so much for the characters and their plots, that the shoe part just makes sense. 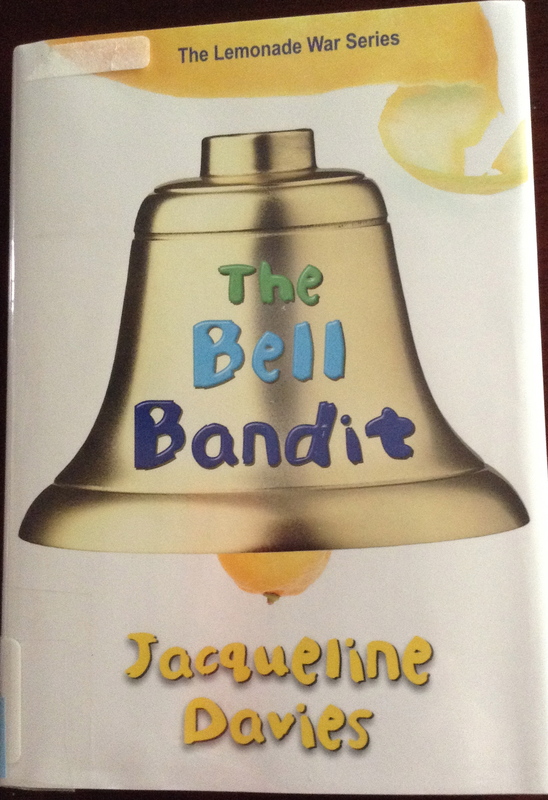 I had to get one more Bauer title in, since I had found it in the library, and the timing of it was a little funny–I read it while I was on a cruise (Get it? 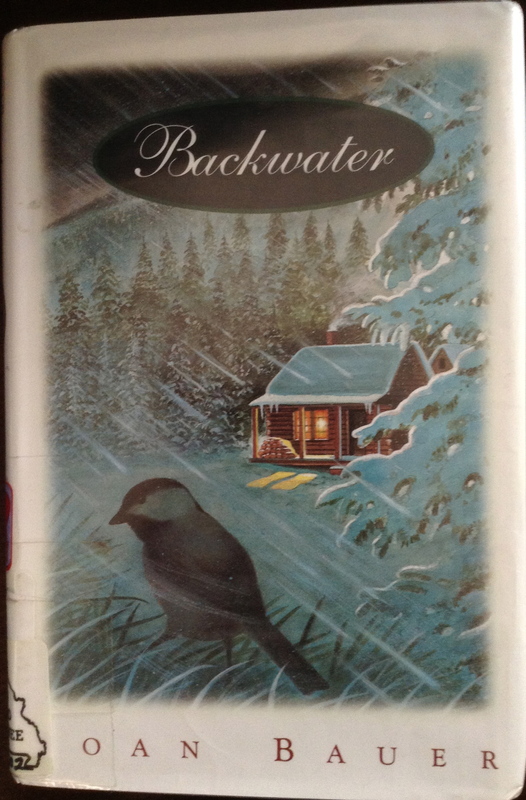 BackWATER? I was on the water? Ok, I’ll laugh by myself. 🙂 ). The title seemed a little confusing considering there was a cabin in the woods on the cover, but you quickly find out the connection and it makes sense. This one had similar traits to others I’ve read, but the main character had a stronger involvement with family than in most of the others; she wasn’t as alone and on her own this time. Instead, she helped someone else find their place in the world (and in the family) and in turn learned some valuable life lessons along the way. 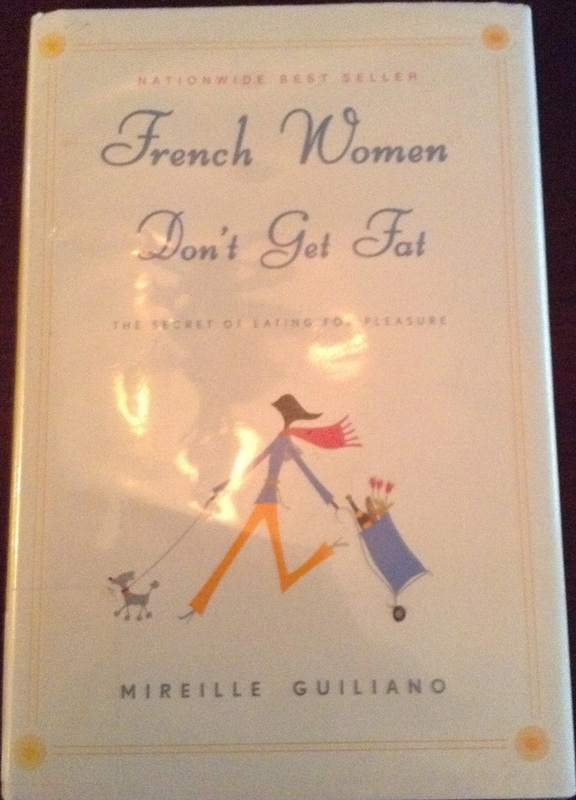 Another great book! 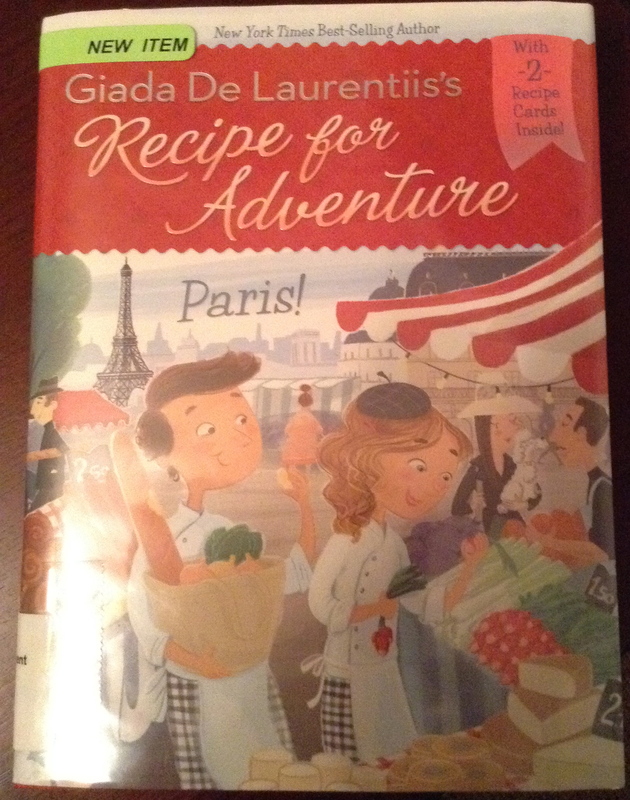 I have to admit that I was a wee bit skeptical to see Giada’s name on a book. I mean, sure, she might be a fine writer, but she’s not known for that. She’s known as an expert on food, not on words. I must also add that I’m not entirely sure that she even wrote these (man, sorry, I guess I’m extra cynical today!). BUT then I read them, and for the audience for which these books are written, I am sure they are lovely. I did enjoy the melded aspect of food, family and time travel (sorry for that spoiler), and for the most part I was entertained. I mean, I did read all three, after all. Were they the best books I’ve ever read? No. 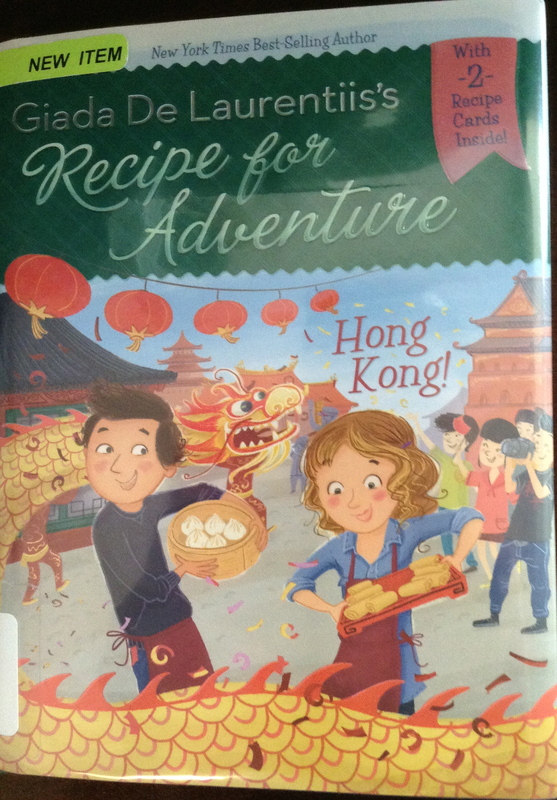 But they were quick fun reads, and spoke to my love of food and culture, even including words from other languages as well as recipe cards that you (or your kiddo) could make at home once you’re finished. For someone, they may be just the thing to get them into books and into reading, and for that I say–go for it! 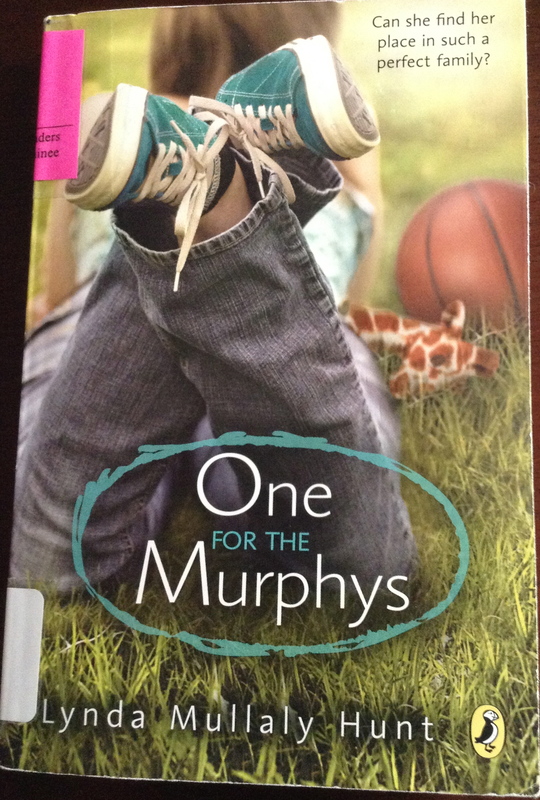 I read this one pretty soon after school was out, mainly because I have read the other two Marty McGuire books and loved them, but also because I was researching possibilities for read alouds for my littles for next year. 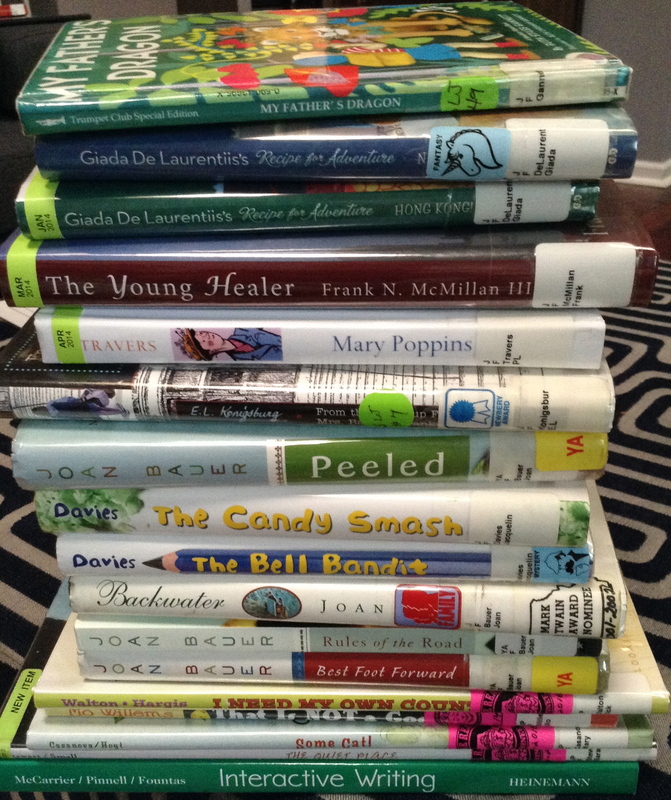 Since I’m moving back to primary, the list of favorites I’ve been sticking to for the last decade will no longer work! 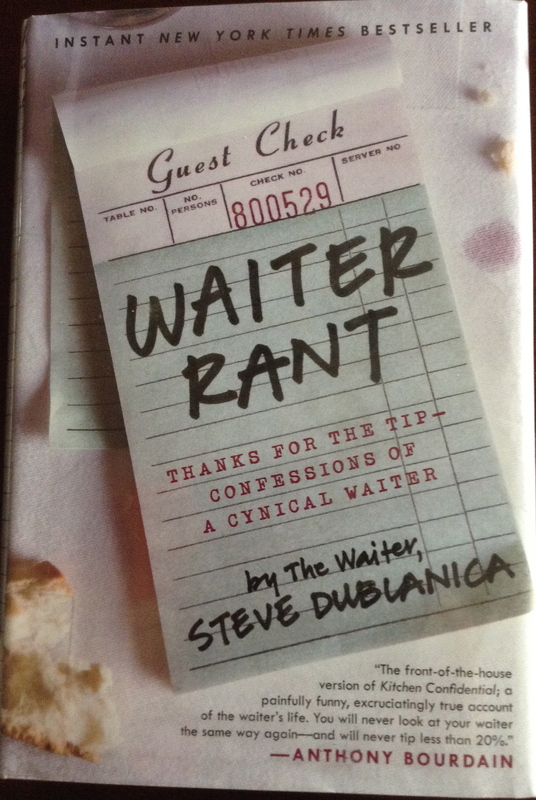 This was as good as I thought it would be–the characters are funny, believable and often surprise me. 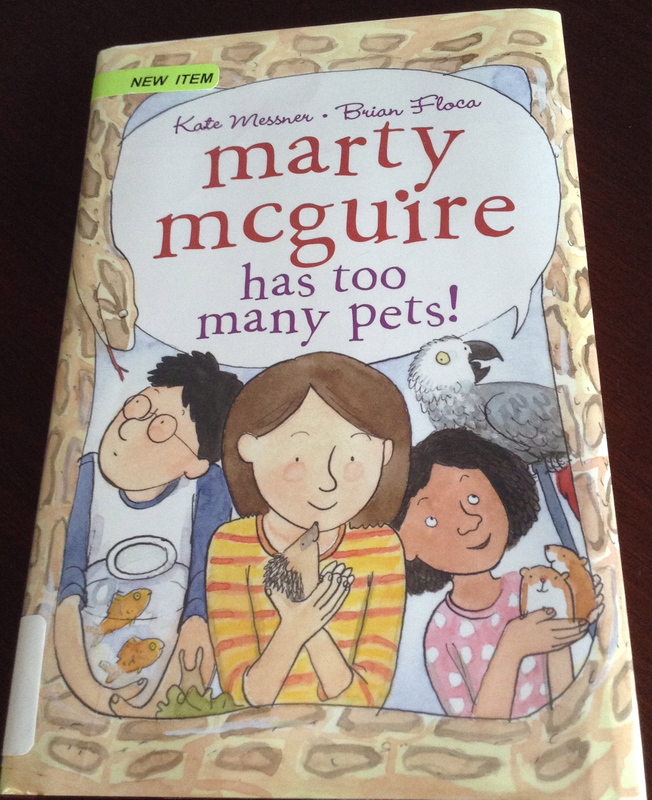 I did honestly laugh out loud with this one, too, when I found out what one of the pets were; I had to Tweet @KateMessner and tell her how pleased I was with that part of the story! I knew it would be one I could read at home, too, to my own kiddos. Well done, Ms. Messner! Another great one. I have Waking Up Missing in my TBR pile, now, which is a Messner book I didn’t discover until just last week. Excited to read it! I remember reading somewhere on Twitter last year about a whole school that reads The Lemonade War as a read aloud. Yes, every classroom! Kinda liked the idea, and so tried that first book in the series last summer. Haven’t gotten around to suggesting that idea to my boss (but hey, @grrprincipal, if you’re reading this and want to try it, I’m totally game! ), but still might read it to my own class. When I asked my “tweep” about why they read it, they mentioned the family themes in the book, as well as the lessons kids can learn about being an entrepreneur–they have competing lemonade stands, after all. 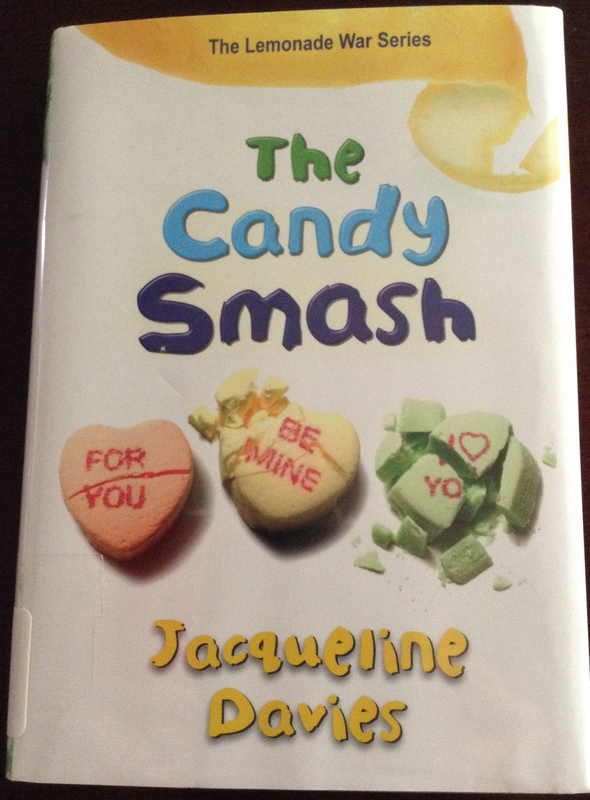 In these subsequent titles, the main characters are the same, but are solving different problems: in one there are mysterious candies that show up around Valentine’s Day, as well as a missing bell on their grandmother’s property on New Year’s Eve. I enjoyed these as much as the first, which is nice since sometimes sequels don’t fare as well as the original. I have to laugh as I look at this picture again, because of the continued influence that both The Quiet Place and Rapunzel have had on my kiddos. Allison is 3, and is in a princess phase (I think this may be genetically imprinted in little girls! 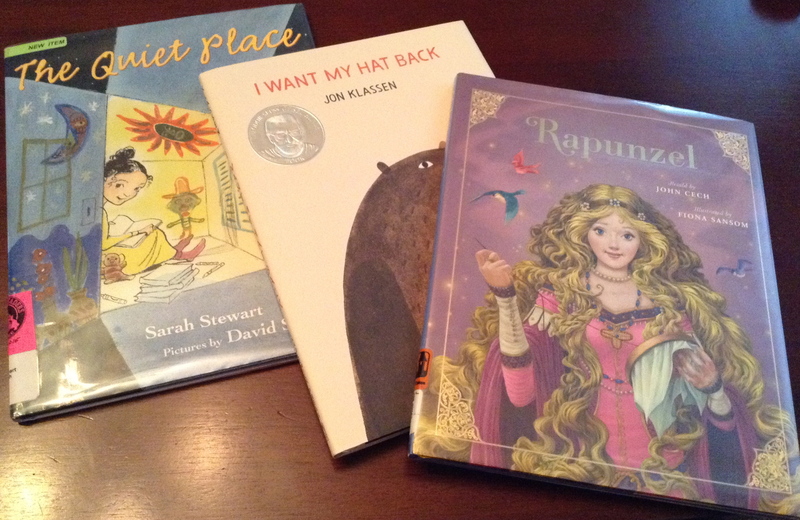 ), so got Rapunzel from the library, but was really disappointed that it was different than the Disney version she knows. And ironically, my children have built their own Quiet Place just today with the boxes that our two big living chairs came in. Inspiration is everywhere! The other one, I Want My Hat Back, is an favorite we had to reread. I believe it’s nominated for the ShowMe Reader in Missouri this year. Yay! It was bound to happen. I had read almost 20 books that were works of fiction before I got to a professional book. For me, this was a big deal. This one is actually a choice from school, and we’re going to have book clubs on it (and some other titles also related to educating boys) this fall. I was interested in this book both because I have a son, and because of what’s happening lately in regards to gaps between girls and boys, how boys are getting left behind. I also chose this title from among the choices because of the “why” nature of it; many choices were related to what to do to help boy learners, but I needed to understand the nature of the problem first. I am so interested to discuss this with the really smart people I work with, as we brainstorm how to address what these needs look like in our school population. Using what we’ve learned, we will make changes and we will help the boys (and girls, too!) in our school succeed! If you know me, it’s no secret that Ralph Fletcher is one of my favorite authors (and hey, I even mentioned him somewhere in this post, I think), and I am always on the look out for a good book written by him. I ordered Guy-Write earlier this year, but hadn’t had a chance to pick it up til the other day (I think I’m about a 1/4 of the way through so far). I mention it because I actually found this text in that Fletcher book. 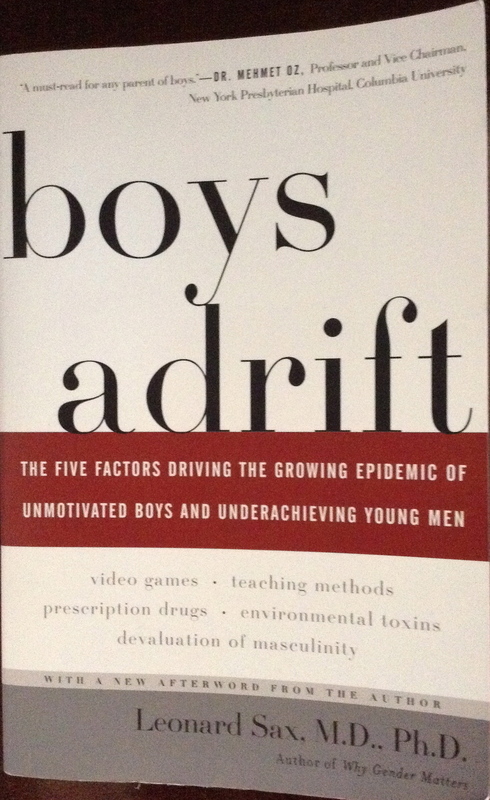 I was inspired to read both of them, actually, because of the Boys Adrift book by Dr. Sax. For years I have been interested in helping boy writers find their voices, but now more than ever I am hoping to sharpen my skills and add to my knowledge. In Guy-Write, Fletcher does an interview with Jon Scieszka (of The True Story of the Three Little Pigs and The Stinky Cheese Man fame), and it was hilarious!! This book was there, and it sounded so interesting and it did not disappoint. So funny and real and written in a way that made it a really quick read. 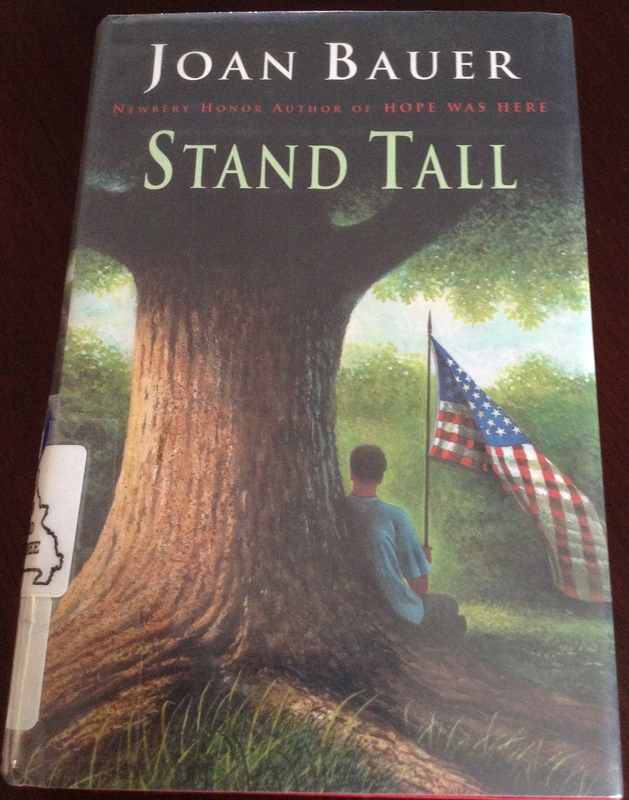 Grant even said he might try it as a read aloud with his class this year, which I thought was a great idea, too. 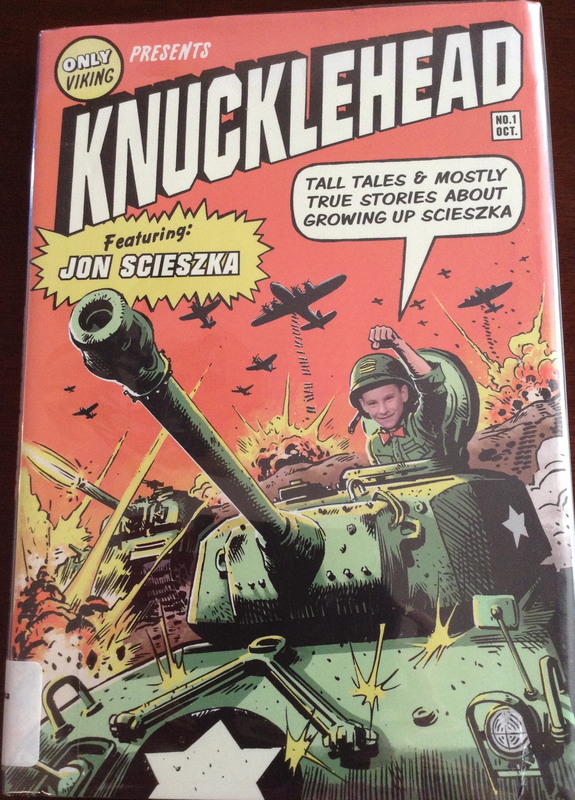 Plus, I thought it was doubly cool that Scieszka was named the First National Ambassador for Young People’s Literature, which is an amazing honor (I think I’d kinda want to be one)! He has a goal to help boy readers and writers, too, and with such a great platform on which to do his work, I know he’ll help make changes for boys everywhere! 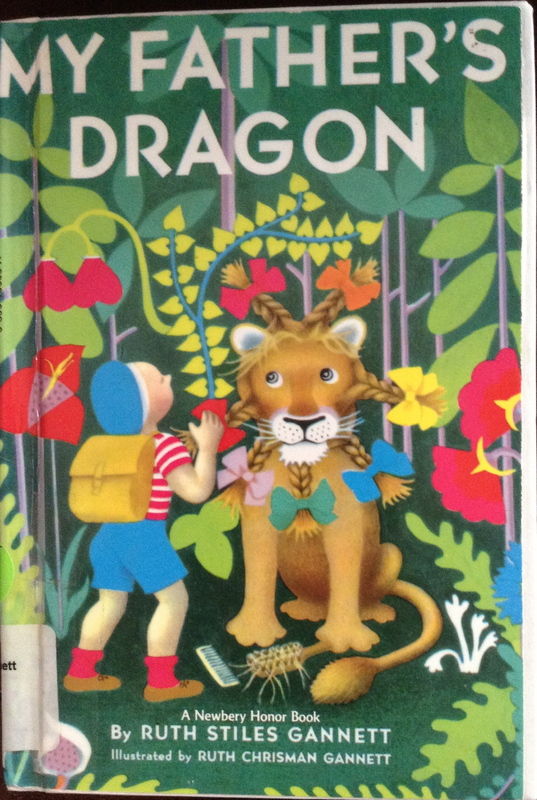 Posted on July 10, 2014 by Jen Bearden	• This entry was posted in Read Aloud, Reading, Uncategorized and tagged book a day, fiction, first grade, fun, nonfiction, reading, summer. Bookmark the permalink.